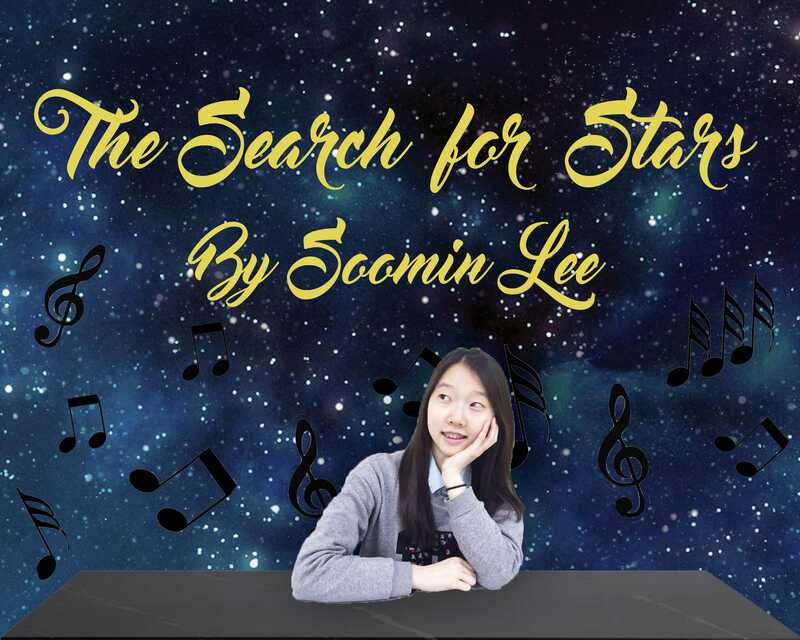 You are at:Home»Entertainment»Soo Min’s Search for Stars! Chuseok break came and went before we knew it. With the break came a change in season — chilly, ice-cold winds replaced warm breezes, and thick jackets replaced thin t-shirts and shorts. The sudden cold might leave you feeling hopeless, but never fear! I brought with me two songs that will surely lift your mood for this month. First, an upbeat song by Ariana Grande, a must-hear tune especially for those needing some encouragement in their lives. An a cappella group starts off the song in a unique way, humming while snapping their fingers at the same time. Ariana Grande’s soft voice joins soon after as she sings how she “ain’t got time to let them darken [her]day” because “they don’t know about us.” Grande’s high-pitched voice complements the cheerful tune in the background, adding to the overall happy, positive mood of the song. The climax comes during the bridge after she sings the chorus a second time. She continuously repeats the phrase, “it’s you and me, it’s us against the world”, emphasizing the importance of not worrying about what others say. If you need a mood booster, this is surely the song for you! Second, a mellow song by Lauv perfect for the winter. The beginning of the song is quiet, with Lauv’s gentle vocals complementing the soft background sounds perfectly. He reminisces about his relationship with his lover, singing of how he “watched those eyes light up with a smile [and as a river]in the not good times.” Though his voice is faint in the beginning, it grows more powerful as he reaches the chorus, with his emotions pouring out through the lyrics. His girlfriend is his “all and more” yet he admits that he “[needs]room to breathe”, supposedly because of the complicated relationship between the two. The variety in tempo and volume throughout the whole song creates an ambiance that underscores the overarching meaning of how even in the best relationship, space for individuality is necessary. The weather may be getting colder and you might not want to ever leave your bed, but don’t worry! In a few months will come winter break, and then we will all have the time to relax and unwind. Good luck!